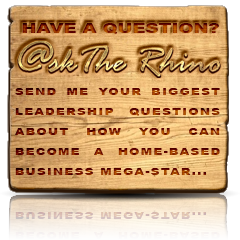 To survive, we truly need Rhino Armor :: Christian Warren’s Official Leadership Development, Business and Executive Blog. On irrational exuberance. One of the most important things we can all take away from this current economic crisis is that there is no guarantee in business as in life. The only certainty in life is uncertainty. This guarantees there will be highs and lows, ups and downs. One day your earnings triple and you are the executive of the year, and the next day you have 60 Minutes at your doorstep. Running an organization is like being on a roller coaster, and we’re all on one hell of a ride right now. We will all be faced with storms of adversity at some point in our lives and careers. Rare is the leader who will not go through some dark night of the soul, where his vision becomes clouded or his goals seem impossible to achieve. Remember what sustains us through these hard times isn’t always a matter of will power and force but instead the ability of our skin to deflect the blow. 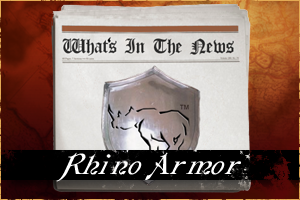 To survive, we truly need Rhino Armor! Peoples integrity will truly be tested in these tuff times. Many peoples true colors will be exposed and the greed will be uncovered. Christian you are correct to say that a tough skin is needed. It also seems like the more we slide into these tough times the tougher we get. Over the years I have learned that there will always be peaks and valleys. Understanding this concept of balance helps me when I am in a valley.